A growing proportion of world poverty is concentrated in fragile contexts. In its States of Fragility 2018 report, the Organization for Economic Co-operation and Development (OECD) estimates that by 2030, 80% of the world’s extreme poor will live in fragile contexts. Concentrated in sub-Saharan Africa, these places are marked by limited state capacity and commitment to deliver on development goals. They also experience more devastating effects from climate, health, and economic shocks. The international community has pledged to contribute solutions to delayed development in fragile contexts. New approaches and assessment tools are being developed to support countrywide shifts from fragility to resilience. Government aid agencies from the United Kingdom and Switzerland, for example, have made specific commitments to concentrate support in fragile countries. 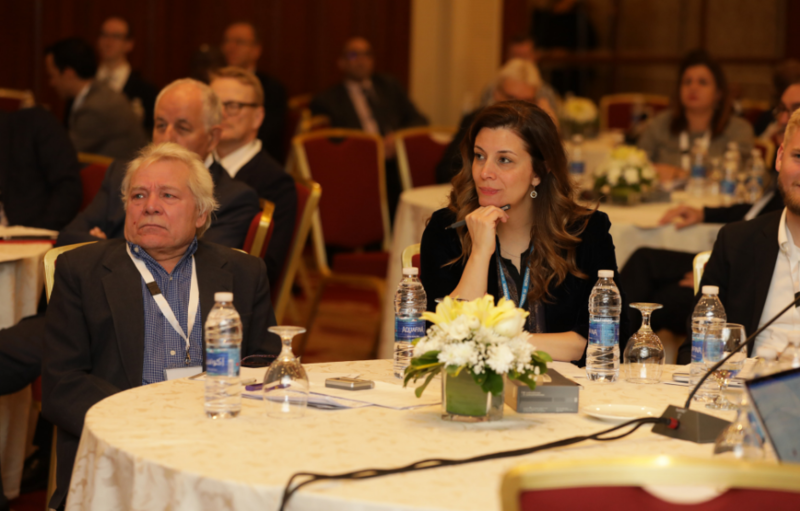 Last month, IDRC and a group of research councils and funders held a conference in Amman, Jordan, to formulate priorities for research in fragile contexts. More than 60 scholars and practitioners from Africa and the Middle East, or whose research focuses on these regions, discussed the type of research that is most likely to benefit people living in fragile contexts and how tailored methods, quality control, capacity, ethics, partnerships, and funding modalities can support research goals. Although perspectives and concepts related to fragility varied among participants, what clearly emerged is that research in fragile contexts must put people’s needs at their centre — their vulnerabilities, rights, and aspirations, and their diversity, including age, gender, and ethnicity. The challenges of doing research and influencing policy and practice in fragile contexts are amplified, and they call for adjustments to research funding. As documented in an IDRC co-publication, these adjustments should apply to all aspects of the research process and evaluation, including efforts to enhance local capacity for policy-oriented research. Fragile contexts are typically marked by strong imbalances in knowledge generation. Where much research is led by Northerners, local actors need support to lead their own research agendas. Research projects and evaluations are opportunities to enhance capacity for strong long-term research, and partnerships should facilitate local researchers setting and implementing agendas. Good localized research tends to use multidisciplinary methods and engage directly with local communities and other stakeholders. It assesses the assets and vulnerabilities of people and groups. An example is the IDRC-supported project in post-conflict Guatemala that allowed the voices of victims to be heard, thereby creating new knowledge about reparations and justice for women survivors of the country’s 36-year conflict. Good localized research avoids concentration of research in the locations that are relatively easy to access, and it explores innovative data sources and tools for analysis, particularly in contexts where data gathering is difficult. Research quality is a critical challenge in contexts where it is hard to do research, capacity is limited, there is a small community of peers, and there may be a lack of appreciation for using evidence to inform policy and practice. These situations call for high standards of appropriate and context-specific methods and for efforts to assess and strengthen new quality sources of data and analytics. The basic principles of research ethics apply in fragile situations, but they need be tailored to the context to adjust for fragility-induced circumstances. The safety of researchers and participants is particularly important, as are considerations accounting for trauma, the principle of doing no harm, balancing researcher incentives and societal benefits, research ownership, and equality of research partnerships. As described in the OECD’s 2007 Principles for Good International Engagement in Fragile States, the international community needs to “act fast, but stay engaged”. Research funding needs to be flexible in its response to urgent needs, commit to the long-term, and be sustained through set-backs. Finally, coordination is particularly important in fragile contexts. Research should emphasize a multi-sectoral (or systems) approach, coordinating actors across security, humanitarian, and development agencies and departments. Conference participants warned that parallel initiatives by the international community could cause harm, for example by excessive concentration on one locality. These recommendations provide the essential ingredients for IDRC as the Centre designs its next strategy to contribute to the 2030 Agenda and renews support for building more prosperous and democratic societies around the world.